Trailwood homes are located in the coastal area of Irvine, California. 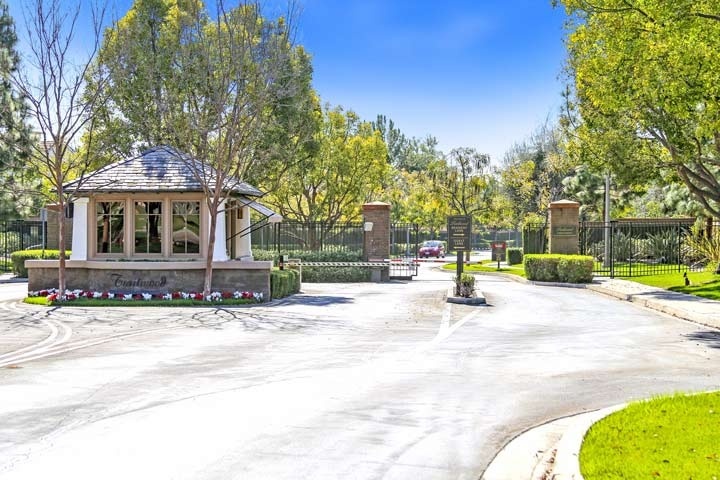 The Trailwood gated community is situated in the Northwood Pointe area of Irvine and features many different neighborhoods within two guard gated entrances. This is a very large community with residential homes and condos that were built between 1995 to 2001. Some of the best award winning schools are located nearby and include Canyon View elementary, Sierra Vista middle school and Northwood high school. The Trailwood community has a monthly homeowners association dues required as well an additional Mello Roos tax. The dues include use of the community pool, spa tennis court, sports court and picnic area. Some of the builders in this community include Taylor Woodrow, Greyston and California Pacific. Below are the current Trailwood homes for sale and for lease in Irvine. Please contact us at 888-990-7111 for more information on this community and any of the homes listed for sale here.